‘Using power and violence keeps the current crisis alive and threatens the chances of democracy,’ says Amizigh council. The Supreme Council of Libya’s Amazigh has described the fighting in southern Libya as a blatant violation of human rights and has called for the UN Support Mission in Libya to intervene by assuming responsibility for the outcome of the violations. Five people were killed and 16 others injured during Thursday clashes near the Sharara oilfield in southern Libya, after forces loyal to renegade General Khalifa Haftar, the leader of the self-proclaimed Libyan National Army, launched a military operation against forces loyal to the newly-appointed commander of Sabha military zone Ali Kanna, the Libya Observer reported. Libya has two rival governments jockeying for power. The UN-backed and internationally recognised Government of National Accord in the capital Tripoli in the west and the House of Representatives (HoR) government based in Tobruk in the east. Khafter’s forces are loyal to the HoR. 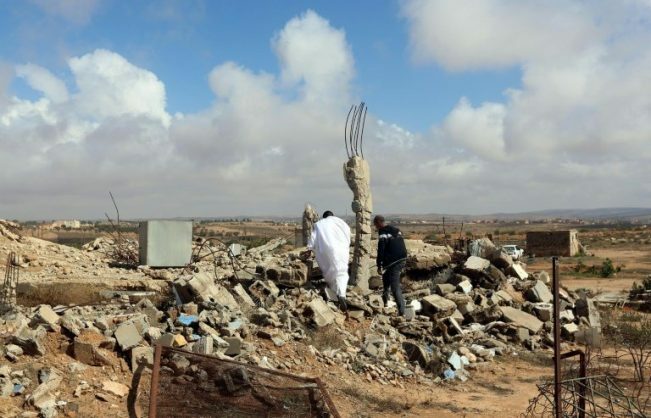 But in a Thursday statement, the Amizigh council said the strikes had targeted innocent people too, including children and elderly members of the Tubu tribe in Murzuq and other parts of southern Libya. “Using power and violence keeps the current crisis alive and threatens the chances of democracy and civilian statehood. It also paves the way for military rule,” the statement read. On Wednesday, Haftar’s forces claimed to have seized control of the Sharara oilfield, but counter-terrorism force Ubari denied this and countered that the oilfield was still under its control. Ubari later pledged loyalty to the newly-appointed Sabha military zone command.